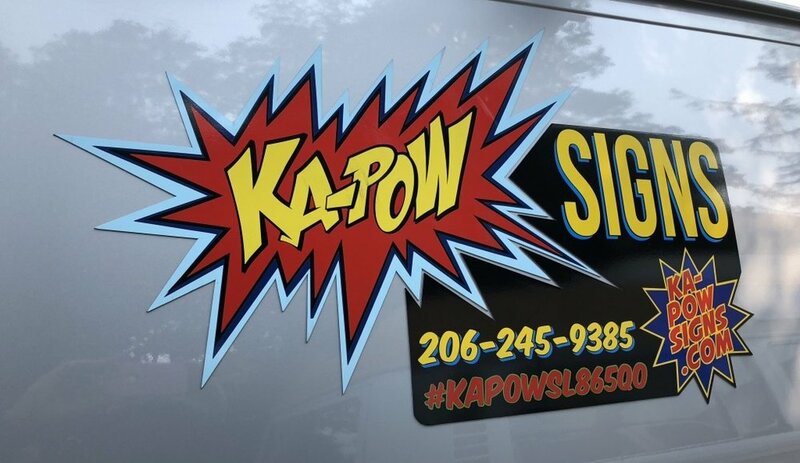 Ka-Pow Signs offers expert installation of non-electrical interior and exterior applications, including all commercial uses of vinyl, paint, and dimensional mountings. Specialty graphic services include design of custom and one-of-a-kind materials using a variety of hand-painted techniques, hand lettering, and complex pinstriping patterns. The shop specializes in designing products that meet individual and challenging customer needs.